By 2022, 21% of Malaysian GDP will be digitalised with a chance of higher growth. 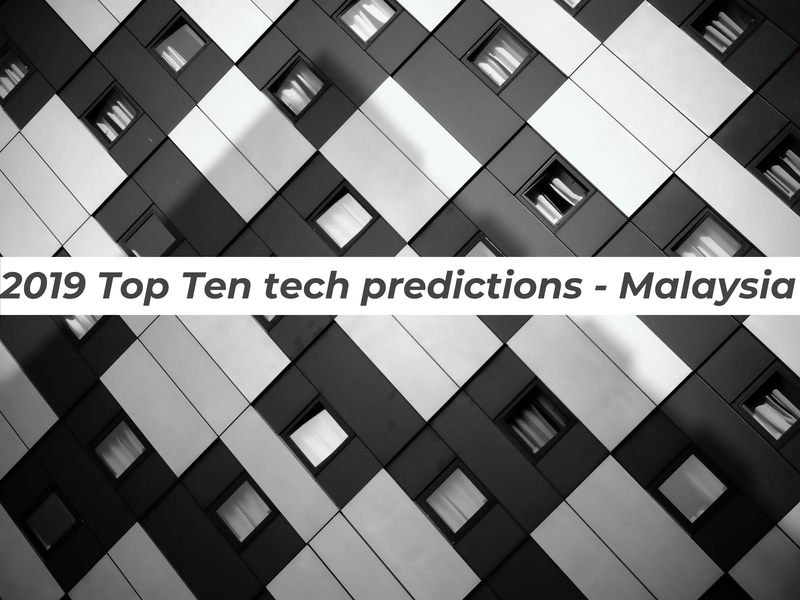 According to a recent report, a provider of market intelligence, advisory services, and events for the information technology, telecommunications, and consumer technology markets recently revealed its top predictions for the Malaysian IT industry for the year and beyond. The company predicts that by 2022, over 21% of Malaysia’s gross domestic product (GDP) will be digitalised against the current level of 18%. Growth is expected in every industry driven by digitally-enhanced offerings, operations, and relationships, driving US$82 billion in IT-related spending from 2019 through 2022. This was revealed at the firm’s event in Kuala Lumpur earlier which aimed to provide enterprises with a framework for evaluating its IT initiatives in terms of value to business strategy within a typical three-year business planning cycle. The firm believes that Malaysian financial institutions, telecommunications, media, and retail industry are the leading industries that have successfully started to digitally transform and align their overall strategy with Malaysia’s “Industry4WRD” digital strategy. However, senior research manager of the firm noted that there is more to be done in the nation’s journey towards achieving greater economic progress. It was also noted that Malaysia needs to do more to unlock the full potential of its digital economy. Industries in Malaysia must transform themselves by adopting best practices and emerging technologies to sustain and compete. In a panel discussion with Malaysia Digital Economy Corporation’s (MDEC’s) vice president of growth ecosystem development highlighted that Malaysia has good policies in place but questioned its implementation and the collaboration between different agencies. An expert stated that while 98% of companies incorporated in Malaysia are SMEs, their contribution to the Malaysian economy is low in comparison (35%). He added that the mindset around SMEs needs to change; the government provides a platform for this and SMEs should work to capture these opportunities. Over 21% of Malaysia’s GDP will be digitalised by 2022, with growth in every industry driven by digitally-enhanced offerings, operations and relationship – driving US$82 billion in IT-related spending from 2019 through 2022. There is a chance of higher growth if the economy does well. While the RM5 billion budget earmarked to drive Industry 4.0 exists, the funds have not been disbursed yet. The money will need to be spent on technology to see growth. By 2023, 70% of all IT spending will be on 3rd platform technologies, as over 50% of all enterprises build “digital-native” IT environments to thrive in the digital economy. Multicloud adoption is on the rise and solutions provided by companies’ trusted IT suppliers may no longer fit in with what the company needs. By 2022, over 25% of organisations’ cloud deployments will include Edge computing, and 25% of endpoint devices and systems will execute artificial intelligence (AI) algorithms. The senior research manager noted that edge computing provides a lot of benefit in terms of reducing network usage and lessening the load on the main data centre. By 2022, 60% of all new apps will feature microservices architectures that improve the ability to design, debug, update and leverage on third-party code and 25% of all production apps will be cloud-native. By 2024, a new class of professional developers producing code without custom scripting will expand the developer population by 20% — accelerating digital transformation. From 2018 to 2023, with new tools/ platforms, more developers, agile methods and lots of code reuse, 4.0 million new logical apps will be created in Malaysia. Globally, 500 million apps are expected to be built. By 2022, 20% of public cloud computing will be based on non-x86 processors including quantum. Organisations will spend more on vertical SaaS apps than horizontal apps. By 2024, AI-enabled user interfaces and process automation will replace one-third of today’s screen-based apps. By 2022, 20% of enterprises will use conversational speech tech for customer engagement. By 2023, 30% of servers will encrypt data at rest and in motion. Over 20% of security alerts will be handled by AI-powered automation and three million people will have blockchain-based digital identities. By 2022, the top four cloud platforms will host 80% of Infrastructure as a Service (IaaS) or Platform as a Service (PaaS) deployments, but by 2024, 90% of Malaysia 100 (M100) organisations will mitigate lock-in through multicloud or hybrid technologies and tools.